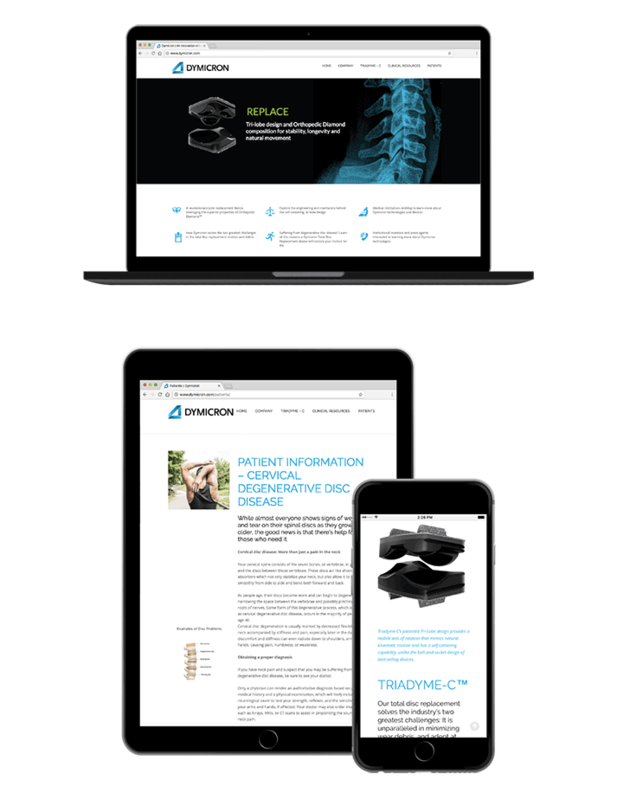 We completed a wide range of primary and secondary research to help Dymicron understand the artificial disc marketplace. Based on the research, we then rebranded their flagship product including a new name, logo and tagline. research, analytics, qualitative/quantitative research, branding, logo design, art direction, creative concepting, digital media.